As we head into Thanksgiving week, I want to adjust the focus of our “thankful” series to those specific things that God has done for all of us. While the blessings of God are particular to our situation, God has universally done wonderful things for all of us. Our first look is that God created you and me. We all know that God created us, but do we really take time to thank Him for that? Of all the things we take for granted, our being created by God is near or at the top of the list. We “live and move and have our being” without giving God a second thought. More often, we complain about what we’re not (like “I wish I was – smarter, better looking, had different feet, shorter, taller, athletic, musical, business minded, thinner, heftier – like so and so”) than appreciating who we are. This is a tragic oversight. By not thanking God for our being created, we are ignoring what He is most proud of! Just read Genesis 1. After creating the universe, the earth, mountains and seas, vegetation and all the non-human creatures, He pronounced them, “Good.” But when He created human beings, He said, “This is VERY good!” The creation of man and woman was the crowning event of creation. God was darn proud of creating you and me! And it is an affront to His wisdom, artistry and holiness when we fail to see the wonder of our being created by Him. When you came into existence in this world, God jumped up and down with joy. And I smile when I think He did the same when I was born. 1. 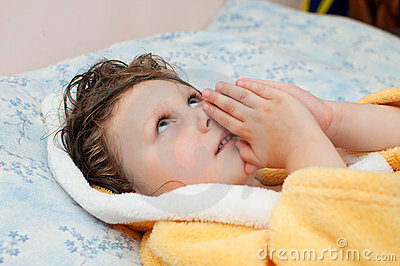 When you get out of bed in the morning, stretch out your body, take a couple deep breaths and say, “Good morning, Lord! Thank you for creating me.” I actually got that from a book by Chuck Swindoll. Let the first words you say be thank you to God for the life He gave you. It takes only ten seconds, but they could be the most important ten seconds of your day. 2. Write out and list the unique things about you (your talents, abilities, personality, connections, contributions) and put it in your Bible. Every once and a while, read them and thank God for how He fearfully and wonderfully made you. Add to the list as God brings them to mind. This is not a “new age” self-esteem exercise; it actually serves to humble us to realize how much God has invested in us. And if you’re stumped (some of us have a difficult time thinking about ourselves in a positive light), ask a trusted friend to share what some of these things are. 3. Think about the people in your life who have been a blessing, and thank God for creating them. You are shaped by the people God brings into your life. And you have helped shape them, as well. In creating the first humans, God’s pronouncement of “very good” was not just for each individual, but especially for the sense of community that resulted. Loving, synergistic community reflects the glory of the Trinity. Thanking God for creating “me” is a powerful spiritual practice. It reminds us of the proper dynamics of our relationship with God: 1) that He is God (and we are not) and 2) that we are deeply loved by Him – He loved the “idea” of us so much that He took the risk of then creating us. Knowing that we are lovingly created by God becomes the foundation of all the other loving acts that God expresses toward us. And we’ll look at some of those in the next few days. Take time right now to thank God for creating you. It’s part of what it means to be a Whole Life Worshiper.